Detoxing isn't that bad if you have the time and energy to cook, and can thus make a variety of dishes to eat. This way, you don't get bored. I have to admit that the vegie soup I made on Sunday night wasn't exactly inspiring, and whilst the vegetables in vegetable curry is edible, I've made it heaps before... yawn! Additionally - neither of those dishes has protein in it, which may have been contributing to my general lethargy. But here are a few things I've made, which are detox-friendly, substantial, and delicious. I made the following two dishes late last night, so I could have a little something ready for the weekend. This recipe comes from Nigella's "At My Table" column in the New York Times, which means it's probably been reprinted in Australian Delicious magazine at some point or other. You start off by browning up a thinly sliced onion in ghee (I substituted with a tiny amount of vegetable oil), and reserving half the cooked onion for garnish. 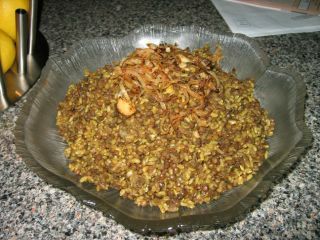 To the remaining onions in the pan, you add spices, rice (I used brown), and green French lentils. 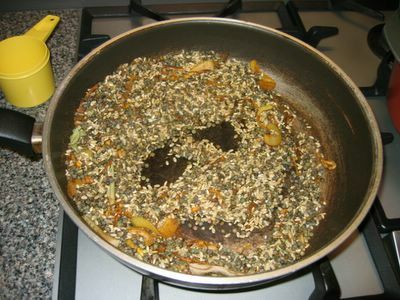 At this point, Nigella says to cover them with water, turn the heat down and plonk the lid down. This seemed waay too difficult, so I bunged the whole lot into the rice-cooker and let it do its magic. 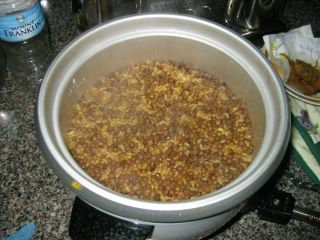 There we go... 20 minutes later and we have perfectly cooked lentils and brown rice! It ended up being quite a large amount, so as you may have guessed, I'm bagging half of it up and freezing it. Delicious. This is another "At My Table" recipe, which was reprinted in The Age's Epicure section this week. I made it because I've been seriously craving the seafood and pumpkin curry from Nigella Bites, but which I can't eat, even if I leave the seafood out, because the sauce has fish sauce and curry paste in it! (Curry paste contains shrimp). Even though I was advised by a detox-savvy friend that "a bit of the fishy stuff won't hurt", I thought I'd give the fish-free version a go first. Perhaps towards the end of my detox when I'll slowly work a bit of fish back into my life. The base of this particular curry is onions, garlic, ginger and chilli, which you soften in a pot. To this you add hot pepper flakes, ground ginger, ground coriander, ground cumin, ground turmeric, cardmom and salt. 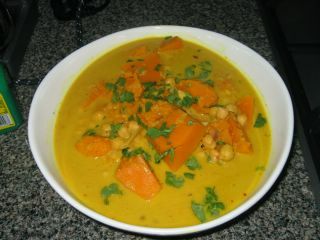 Next you add the sweet potato (I substituted pumpkin), coconut milk, tamarind and vegetable stock. It takes about 25 minutes at a low simmer for the pumpkin to become tender. At this point, you add a couple of cans of drained chickpeas, and Bob's your uncle. I used dried tamarind (we call it "assam" in Malaysia) instead of the paste, and it didn't turn out sour enough, so I just added some lime juice. Now the thing about this curry, even though it is technically detox-friendly (i.e. 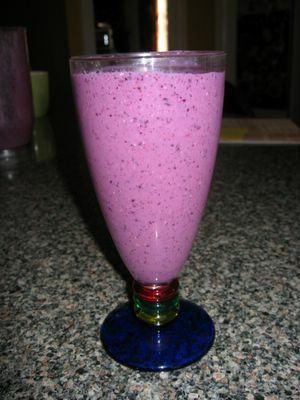 no dairy, meat or wheat), it is very high in fat, so you shouldn't have it in huge portions. Just don't tell anyone about the enormous quantity I wolfed down in the name of "taste-testing", whilst standing at the stove at 11:30 at night. It is absolutely amazing! So warming and tasty, perfect for a freezing cold Melbourne winter night. Good luck with the detox. I'm trying to be healthy pre-trip! It's actually quite good that a lot of healthy "detox" dishes do taste yummy.